Part of the Plan to produce the appearance of Antichrist calls for a very frightening nuclear confrontation between North and South Korea. The stage seems to be set now for this scenario to occur. This is just one more sign that the appearance of Antichrist may be very close. - Christian Updates - New World Order. NEW WORLD ORDER PLANS CALL FOR "HAIR RAISING" NUCLEAR CONFRONTATION ON THE KOREAN PENINSULA. GET READY!! STAGE APPEARS TO BE SET. now for this scenario to occur. This is just one more sign that the appearance of Antichrist may be very close. NEWS BRIEF: "North Korea's Anguish: Isolated Nation Teeters On Brink Of Epic Famine", and "Mind Games of War Include A Dress Code", The Providence Sunday Journal, News II, May 4, 1997, Page D-1, 9. "Under a bright afternoon sun, a dozen women in red kerchiefs and ragged trousers scoured a field of withered cornstalks for the few yellowing husks that remained edible, a sign of the frightful desperation now gripping North Korea. As famine spreads, a misery of almost unspeakable dimensions is becoming evident from the horror stories now seeping out: of starving babies reduced to skin and bone, of women selling their daughters, of families even resorting to cannibalism to survive." [Page D-1]. Communist China weathered her famine by allowing 30 million Chinese to starve. Other examples abound of Communist countries that cannot feed themselves. Cuba is another good example. Communism so discourages work and extra effort that it is a system that cannot, and will not, ever work. This is the reason that the New World Order Plan envisions an Economic system of Fascism rather than Communism or Free Enterprise [See NEWS1005, "Industrial Policy is Fascism" for a complete discussion of this most interesting subject of the three different types of economies]. Therefore, we are not surprised that such a desperate situation exists in North Korea, where famine has aggravated an already weak economy. How bad is the situation facing North Korea? Aside from the human drama described, above, we need to look at a few statistics. The picture painted in these articles is grim, indeed. However, we believe that this scenario may not be entirely accidental. We believe it may also a part of the New World Order Plan to stage the appearance of Antichrist. In the book, The Armageddon Script: Prophecy In Action, author Peter Lemesurier systematically lists all the events which shall occur in order to stage the appearance of Antichrist. 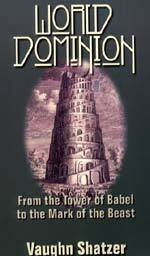 We encourage you to get this book, as it is unique in its succinct listing of all the events which the Antichrist will perform to make all the peoples of the world believe his claims. Before we go further, we want to just share with you one of the instances where Lemesurier's plan has been already followed precisely. Lemesurier's book was written in 1981; on page 222, Lemesurier suddenly begins speaking of the Arabs, when he says, "Yet the Arab confederacy will fall apart in feuds and wars in which desert oil-wells will be set alight." We KNOW when this part of the New World Order Plan was fulfilled, don't we? In 1991, when Saddam Hussein's army was retreating from Kuwait in the face of the Allied -- mostly American -- onslaught, Saddam ordered that Kuwait's oil wells be set on fire. Now we know that Saddam Hussein was acting in accordance with the New World Order Plan!! Think carefully about this for a few moments, for it will tell you volumes about the truth of which we speak. It will tell you that Saddam was a part of the Plan from the beginning, and will tell you why President George Bush spared him from complete destruction. It might even tell you that the entire Gulf War was part of the global New World Order Plan!! 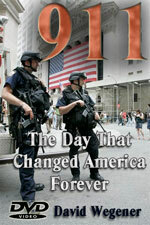 The Gulf War was declared to be a war of the New World Order. Do you recall, in August, 1990, when President Bush gave his famous speech about the Kuwait invasion? 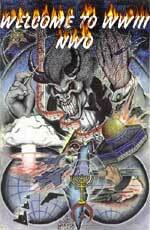 Bush declared that the New World Order was now a reality!! Remember his words, "This invasion [of Kuwait] will not stand, for it threatens the New World Order." Immediately, Vice President Quayle began speaking of this term, as did Presidents and Prime Ministers the entire world over. Immediately, this arcane term -- New World Order -- which had been used only within occult literature, became a very popular buzz word. Make no mistake about this fact, the Gulf War was planned, as were the lighting of the Arab oil wells, and as are most of the major events about to explode upon the world's scene. Now, let us return to our subject of North and South Korea. On page 222-3, of his book, Lemesurier makes a very cryptic statement about Korea. "But then war will seldom be absent from the world-scene during the last twenty years of the century. There will be numerous local conflicts in the Far East, the Middle East, and Africa. A hair-raising nuclear confrontation in Korea may, towards the end of the period, threaten man's very survival." Now, let us return to our newspaper story we have quoted, above, a story that undoubtedly broke nationwide. Do these stories speak of the possibility of war? Indeed, they do! "Hwang Jang Yop, the high-ranking North Korean defector, said when he arrived in Seoul recently that the Pyongyang leaders ... were dangerously close to a military attack ... When ... Hwang Jang Yop warned that his nation's leaders see war as the only way to reverse a downward spiral into chaos and starvation, he made headlines around the world. But North Korea's menace is old news at the DMZ, where both sides have been braced to resume a war that never officially ended. If North Korea's million-man army ever does attack, 37,000 U.S. troops will stand in the way. The carnage would be horrific but the outcome certain, according to U.S. Army spokesman, Jim Coles. 'Our business is wholesale death and destruction and we're the best in the world at it', he told me." 3) Led by the U.S. President, the Western world swings in solidly behind South Korea, and the U.S. begins to move additional military units to South Korea. 4) After proper posturing, North Korea attacks. After penetrating some short distance, North Korean troops begin to be destroyed as American troops, equipped with the same lopsided margin of capability as we had against Saddam Hussein, rapidly kill North Koreans by the tens of thousands. 5) In desperation, North Korea then launches a limited number of nuclear weapons or threatens to do so. 9) China suddenly invades Taiwan, now that U.S. forces are stretched to the breaking point between the conflict in the Middle East and the Korean Peninsula. Since America does not have adequate Naval carrier groups to adequately defend Taiwan now that we are fully committed between the Middle East and Korea, China is fully willing to "seize the moment" to attack Taiwan. Suddenly, amidst all this panic, we learn of a "Man of Peace" who has arisen East of Jerusalem, claiming to be the Jewish Messiah, Jesus Christ, Mohammed, Buddha, and other world avatars, all in one person. And, to back up his claim, he is dazzling the peoples of the world with displays of supernatural power. This scenario may be almost ready to spring on an already well-conditioned public. If it is, the beginning of the Tribulation Period may be close at hand. Finally, we would love to hear from you. You can contact us by mail or email.